After the hectic Advent Calender in Christmas of 2008, January started out with a longer growing 2nd Gen litter. It takes 50 days for these particular pups to grow, and they also came with the first 2nd Gen PPS. This litter was bred by Tess. Both Parents were available in the Christmas Advent Calender of 2008. The romantic day of February the 14th brought about a new 2nd Gen Litter, and also a rather surprising new Species 2nd Gen litter. Both litters were bred by Tess. 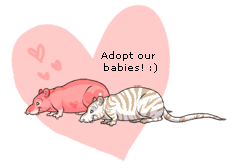 The Pink Heart rat parent was released in August of 2008 and the striped rat was released in the 2008 and 2009 Advent Calendar. This litter was the first non-dog pairing on CS. It was a massive hit. Both parents were released in the 2008 and 2009 Advent Calendar. A surprise came on the 1st of December 2009. 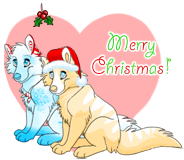 Besides the Advent Calendar event, a Christmas Couple was released in the Spirit of Holiday Cheer. This litter was bred by Sorren Fey. 5 months went past before a new 2nd Gen litter was released. This litter was bred by Tess. This set was released on the 1st of November 2009. This litter was bred by Shima.Luan. The Grey curled tail parent is from January 2009 and the Tan and White parent is from April 2009.